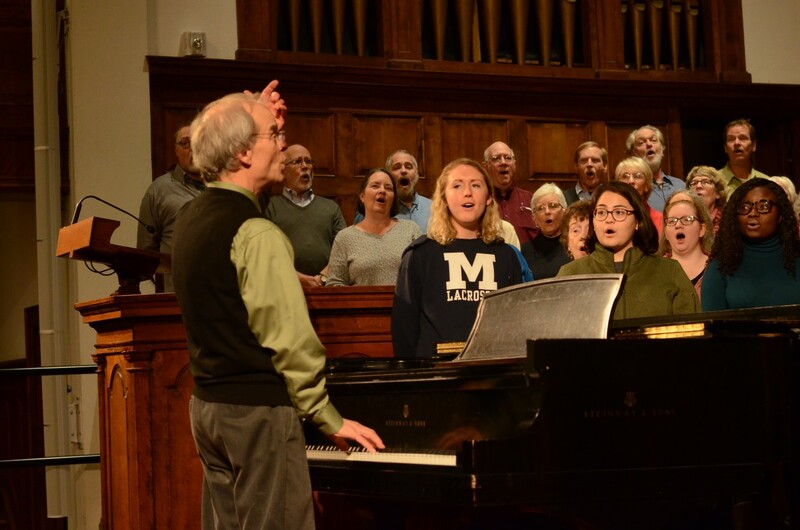 The Middlebury College Community Chorus welcomes faculty, staff, and students to join us as we prepare for our annual Thanksgiving concerts (Nov. 17-18) with a program entitled A Song Arising. Regular rehearsals begin September 11 in Mead Chapel, and then continue on Sundays and Tuesdays, 7-8:30pm throughout the fall. (Note: rehearsal on 9/18 will be in Mahaney Ctr for the Arts 221). As always, we welcome community neighbors and family members (high school age and up) to join us! Participants should plan to attend at least one rehearsal each week. We welcome all singers without audition who can follow a musical score. Our members travel from throughout the region to participate in this 150-year-old community tradition. For additional information, check on the web at go.middlebury.edu/communitychorus or contact director Jeff Rehbach at 989-7355. Please see below a listing of selections for this fall. We look forward to making music together as we explore this repertoire! Join us! The Peace of Wild Things by Jake Runestad, a 2014 award-winning composition based on Wendell Berry’s poem. I Dream a World by Connor Koppin, in a new setting of the text by Langston Hughes. Kyrie eleison – Wolfgang Amadeus Mozart’s first choral work, scored for choir & string quartet. Communio/Lux aeterna: the final movement from Mozart‘s powerful Requiem. Illumination, a prayerful Latin text originating from 17th century Ireland, sensitively set by composer Michael McGlynn, arranger for the Celtic ensemble Anúna. This entry was posted in Midd Blogosphere, music and tagged choir, community chorus, For Faculty, For Staff, Midd News & Events, Midd Points on September 5, 2018 by Jeffrey Rehbach. Fifteen Middlebury students join the College Community Chorus and will take to the stage in Brandon and Middlebury on Mother’s Day Weekend for its annual spring concerts, this year with the theme “Moonlit Nights & Sun-filled Days.” Conductor Jeff Rehbach leads the 80-voice chorus as virtuoso pianist Timothy Guiles accompanies the ensemble. Rehbach notes that delightful classical, traditional, and popular music fills the hour-long program. College students hail from China, Zimbabwe, Texas, California, Pennsylvania, Indiana, Massachusetts, Delaware, Maine, Vermont, New York, Kentucky, and Maryland. 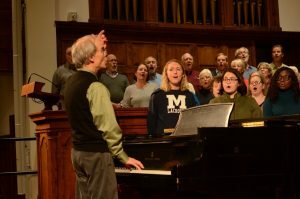 Community members of the College Community chorus — including College alumni, as well as current and retired staff and faculty — travel for weekly rehearsals from throughout the region, including Cornwall, Bristol, Weybridge, Middlebury, New Haven, Leicester, Orwell, Brandon, Moriah NY, North Ferrisburgh, Monkton, Salisbury, and Vergennes. The group welcomes all singers who delight in this 150-year-old community tradition, hosted by Middlebury College. Performances take place on Saturday evening, May 12, 7:30 pm, at the Brandon Town Hall, and on Sunday afternoon, 13, 3:00 pm at the Mahaney Center for the Arts, Robinson Concert Hall at Middlebury College. Donations at the door in Brandon support ongoing renovations and programming at the historic Town Hall, while the Middlebury concert is free admission. As the choir singers process and gather on stage, they open the concert with Awake! Bright day from Richard Wagner’s famous opera Die Meistersinger. Following the quiet Evening Prayer from Englebert Humperdinck’s 1893 musical setting of Hansel and Gretel, the choir greets a new dawn with Behold the sun!, a chorus excerpted from one of Franz Joseph Haydn’s last major works, completed in 1801. The program features music for the night by contemporary American composers Gwyneth Walker and Daniel Elder. Walker, who lived and farmed for many years in Vermont, seeks to capture the lyricism of the E. E. Cummings poem “after all white horses are in bed.” Elder writes his own lyrics and music for the gentle nocturnes entitled Ballade to the Moon and Lullaby. From world music traditions, the choir takes up a new arrangement of Yonder Come Day, a spiritual from the Georgia Sea Islands, as well as a traditional song from Ghana that describes children’s games played beneath the bright moon. Popular tunes on the program include lyrical choral arrangements of Cole Porter’s Night and Day, Lennon & McCartney’s I’ll Follow the Sun (as arranged for the King’s Singers, an award-winning British a cappella ensemble), and Dolly Parton’s Light of a Clear Blue Morning by Craig Hella Johnson, conductor of the Grammy® award-winning ensemble Conspirare. The concert concludes with a flair, as the choir sings Pulitzer Prize winning composer Aaron Copland’s The Promise of Living followed by Meridian, a stirring work scored for piano solo and chorus, by noted contemporary composer Ola Gjeilo—premiered in Vermont just three weeks ago by the Chorus, the Middlebury Community Wind Ensemble, and pianist Tim Guiles. This entry was posted in Midd Blogosphere and tagged choir, chorus, concerts, For Faculty, For Staff, Midd News & Events, Midd Points on May 1, 2018 by Jeffrey Rehbach. 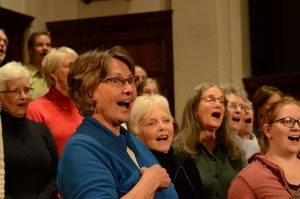 The Middlebury College Community Chorus announces a new season to prepare for its spring concerts, slated for performance in Brandon and Middlebury on Mother’s Day weekend May 12-13. Regular rehearsals are Tuesday and Sunday evenings from 7:00-8:30 p.m. On Sunday February 11, the group will meet in the Mahaney Center for the Arts room 221. Rehearsals move to their regular location in Mead Chapel beginning Tuesday February 13. The Chorus welcomes all who love to sing to come enjoy rehearsals and performances with us. Conductor Jeff Rehbach notes that this concert season offers singers the opportunity to explore a variety of musical styles with texts that describe moonlit nights and sun-filled days, from classical works to spirituals and arrangements of twentieth-century popular songs for an enjoyable and entertaining program for the spring. In a preview, he highlights this season’s program that includes music for the night written by contemporary American composers Gwyneth Walker and Daniel Elder. Walker, who lived for many years in Vermont, seeks to capture the lyricism of the E. E. Cummings poem “After all white horses are in bed.” Elder writes his own lyrics for his gentle nocturnes entitled “Lullaby” and “Ballade to the Moon.” The chorus will also prepare “Evening Prayer” from Humperdinck’s musical setting of Hansel and Gretel, and, as night turns to day, the morning chorale “Awake, bright day” from Wagner’s famous opera Die Meistersinger, and Franz Joseph Haydn’s “Behold the sun” from The Seasons. In addition to the Mother’s Day weekend performances, members of the Chorus will also enjoy the opportunity to join the Middlebury Wind Ensemble this spring at its concerts on April 20 and 21. Featured will be Pulitzer prize-winning American composer Aaron Copland’s “The Promise of Living” scored for chorus and winds, and the Vermont premiere of “Meridian,” a stirring work scored for piano solo, winds, and chorus by noted contemporary composer Ola Gjeilo, with Tim Guiles as piano soloist. 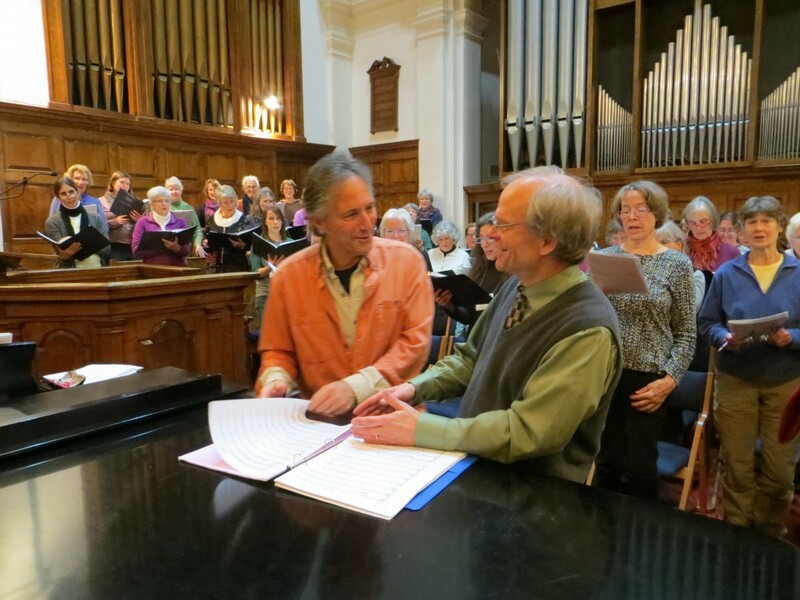 Jeff Rehbach continues as director of the College Community Chorus, and Tim Guiles returns as the choir’s virtuoso accompanist. The chorus welcomes all interested singers (high schoolers and adults) to join the ensemble during the month of February. Participants should plan to attend at least one rehearsal each week. Numbering one hundred singers, the group is open without audition or mandatory fees to all singers who can follow a musical score. Its members travel from throughout the region to participate in this 150-year-old community tradition, hosted by Middlebury College. For up to date information, check on the web at go.middlebury.edu/communitychorus or contact Jeff at rehbach@middlebury.edu or 989-7355. This entry was posted in Midd Blogosphere, music and tagged community chorus, Midd News & Events, Midd Points on February 6, 2018 by Jeffrey Rehbach. The Middlebury College Community Chorus takes to the Robison Concert Hall stage at Middlebury’s Mahaney Center for the Arts for its annual Thanksgiving concert, this year with the theme “Heart and Home.” Performances take place on Saturday evening, November 18, 7:00 pm, and on Sunday afternoon, November 19, 3:00 pm. Admission is free. Conductor Jeff Rehbach notes that through a rich variety of historic and present-day music abounding with vivid writing for chorus and piano, the program evokes our longing for home, our heartfelt desire for peace and hope, as well as our joy in celebration and thanksgiving. Rehbach leads the 100-voice chorus as virtuoso pianist Timothy Guiles accompanies the ensemble. The choir remembers those who have been a part of our lives with two works by contemporary American composers, Good Night, Dear Heart by Dan Forrest and Homage by Z. Randall Stroope. The first poignantly sets the words of a classic poem by Robert Richardson that Mark Twain notably placed on the headstone of his daughter who died in her early twenties. The second honors beloved parents and all who shape our lives. The program includes settings that depict a heavenly home with music from the 18th and 19th centuries: How Lovely is Thy Dwelling Place by Johannes Brahms, and Agnus Dei (Lamb of God, grant eternal rest) by French composer Gabriel Fauré. The group will present Dona Nobis Pacem (Grant us Peace) from the Mass in B minor, one of Johann Sebastian Bach’s final compositions. The choir will also sing Jubilate Deo (O be Joyful) by the German composer Felix Mendelssohn, based on an historic psalm of thanksgiving. 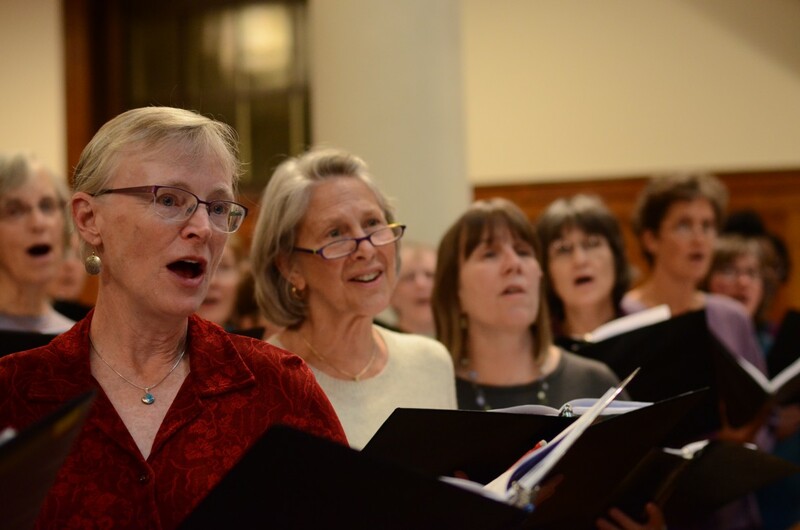 Members of the College Community chorus travel for weekly rehearsals from throughout the region, including Cornwall, Weybridge, Middlebury, Ripton, Goshen, Bristol, Lincoln, Monkton, New Haven, Waltham, Vergennes, N. Ferrisburgh, Charlotte, East Middlebury, Salisbury, Leicester, Brandon, Randolph, Orwell, and Shoreham. College students hail from Kenya, Zimbabwe, Pakistan, China, Pennsylvania, Indiana, Massachusetts, Vermont, New Jersey, Texas, and California. 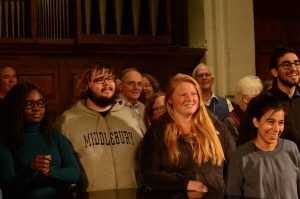 The group is open without audition to all singers who delight in participating in this 150-year-old community tradition, hosted by Middlebury College. For additional information, check on the web at http://go.middlebury.edu/communitychorus or contact director Jeff Rehbach at 989-7355. This entry was posted in Midd Blogosphere and tagged For Faculty, For Staff, Midd News & Events, Midd Points on November 13, 2017 by Jeffrey Rehbach. 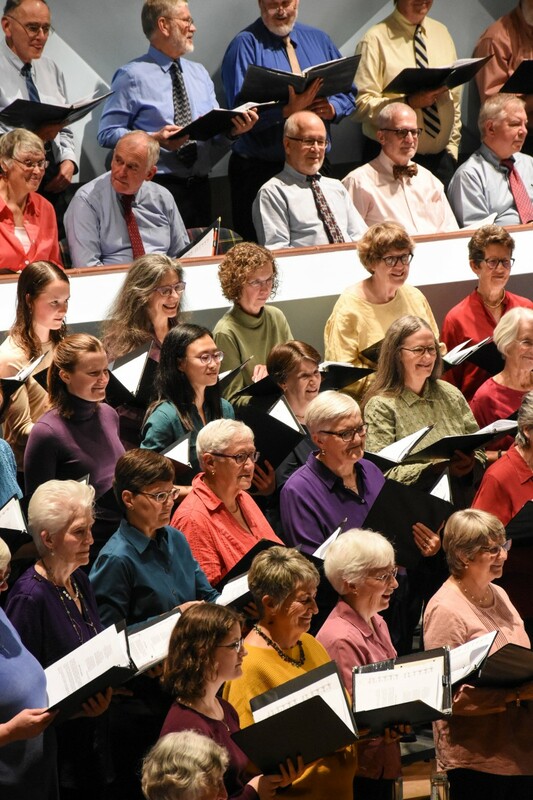 We welcome students, staff and faculty, including retirees, to join the Middlebury College Community Chorus as we begin a new season to prepare our annual Thanksgiving concerts. We rehearse on Tuesday and Sunday evenings, beginning September 12, in Mead Chapel from 7:00-8:30pm. Concerts take place in Robison Concert Hall on Saturday evening, Nov. 18 and Sunday afternoon, Nov. 19. Our fall 2017 program includes music of heart and home as well as celebration and thanksgiving. Selections from the European classical tradition include O be joyful by Felix Mendelssohn; How Lovely is Thy Dwelling Place by Johannes Brahms; Agnus Dei from Gabriel Fauré’s Requiem; and Dona Nobis Pacem, the final movement of J. S. Bach’s Mass in B minor. Contemporary works include two new compositions by the amazing African American composer Rosephanye Powell, including the text I Dream a World by Langston Hughes and an upbeat gospel-style song I Will Sing; songs of remembrance by Z. Randall Stroope and Dan Forrest, including the poem Good Night, Dear Heart by Robert Richardson (Mark Twain placed its text on the tombstone of his beloved daughter Susy, when she died unexpectedly at age 24); Stand in that River by New Haven VT native Moira Smiley; and a new arrangement of the Vermont state song, These Green Hills. Please join us before the end of this month for rehearsals once or twice a week, as your schedule permits. No auditions — just come sing with nearly 100 other singers from across the region. Invite College students in your classroom or workplace to join us as well as we come together to make music in community. This entry was posted in Midd Blogosphere and tagged Midd News & Events, Midd Points on September 13, 2017 by Jeffrey Rehbach.